Show me a working mother who isn’t struggling with the need to find some extra hours in her day. It is not only the managing of two jobs—the one outside the home and the one in the home—but the enormous number of tasks and things to think about and attend to, that wash over you, leaving you overwhelmed and lacking in energy. Obviously this list is far from being comprehensive—it doesn’t even mention the daily household chores, the cleaning, ironing, fixing and arranging. It doesn’t include any unpredictable or changeable events such as entertaining, malfunctioning systems at home, or the periodic shopping required for restocking the girls’ wardrobes. And that is before you even started attending to your own care regime: fitness, conversation with a friend, beauty treatments— hair, nails, facial… we each have our own long to-do list, whether constant or changing, and the end result is the creation of a never-ending routine which is very difficult to change. Just reading this list is tiring, so why do I bother you with it? For the very reason that we all just do it and accept, either willingly or less so, that it is our responsibility. With each additional child the list doubles and just when we think there is no way we can handle anything else, we somehow manage to miraculously stretch time and get it all done. Many of us find some creative way to juggle it all: getting help from a partner or a mother or bringing in paid help. Others choose to neglect one of the two jobs: either their career or motherhood. More and more mothers are looking for ways to combine motherhood with running a small business which relates to kids’ activities, cooking and recipes, kids’ clothing, tutorials for kids or blogs on being mothers, raising kids, organizing time, DIY—the list is endless. Whatever the solution, the majority of women are still trapped by the perception that, even today, all the traditional women’s roles are still theirs to take care of. But is this what you want for your daughters? If you think the next generation deserves a better starting place to fulfill their potential, their aspirations and their power and influence, then it is your duty to create a Modeling infrastructure for them to pursue. 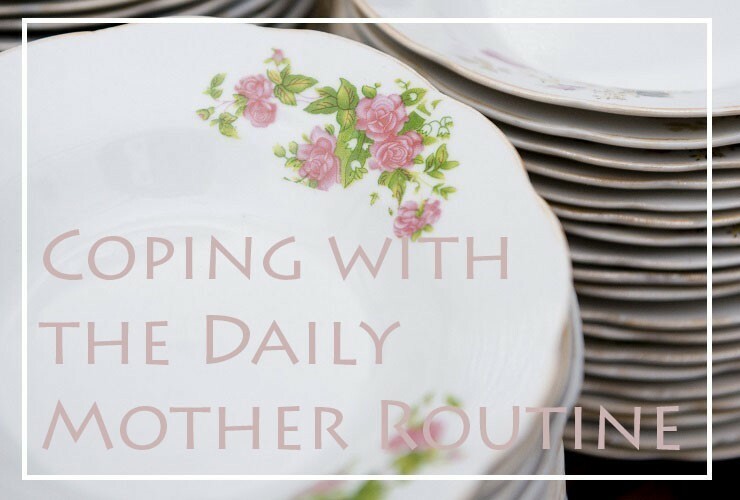 Breaking the daily mother routine to start something new, a small business or a consultancy venture, is a big challenge. It is easier to find a job with a clear time frame which pays a salary at the end of the month. It is a far simpler way of justifying the time you are out of the home. Otherwise, you first need to understand the unbreakable limitations of time, or in other words, to start managing your time better by defining your preferences and priorities. You can choose to be in control of everything in the home, whether it is sorting the closets or spending quality time with the children making a cake. And if you have made this choice, then you will undoubtedly make sure the closets are all neat and orderly just how you like them. But if you don’t, and you choose to let go and have the kids take responsibility, there is a double advantage: you free yourself to spend the time doing something else, and at the same time you let your kids build their own child eco-system as they learn to navigate their own time and decisions. You can choose to spend the time preparing cookies and enjoy every moment, but you pay the price in time when you could just as well buy excellent products prepared by others who are earning a living by indulging their passion. To start something new, to open a blog or to become a woman entrepreneur, we not only need to go out of our comfort zone but also to make sure, especially as mothers, that we acquire the fundamental resource for creation, individual thinking and stimulation – TIME. Establishing the necessary time frame is essential. That certainly doesn’t mean giving up all your duties as a mother. There are some that money just cannot buy. It just requires our attention and a decision on what we are willing to let go of and let others manage. Being an involved parent can easily consume the majority of your time; by consciously allocating time to work on your new endeavor and reducing a significant portion of those dispensable errands, you can start to make progress and, step-by-step, little-by-little, take action and build your self-confidence and self-belief. You can choose to comment as a guest. You need to be signed in to like or share a post.